As part of my new year foodie resolutions, I decided that this was the year to try making a few new things from scratch. One of those things would be bread. I absolutely love bread. It’s definitely in my top 3 favourite starchy carbohydrates behind noodles and rice. 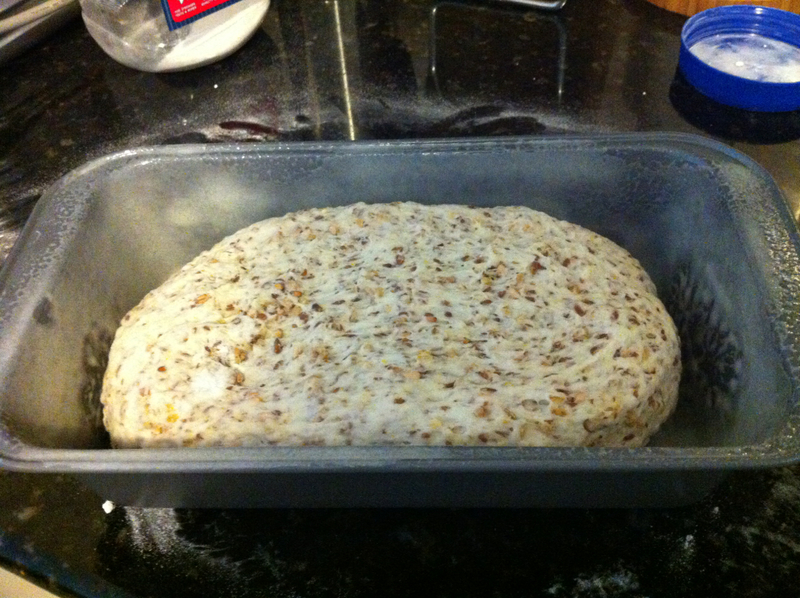 I’ve thought about making bread for a while, since I absolutely adore the smell of fresh bread. I’ve seen bread maker machines before and thought it was a bit of a cheat’s shortcut, but going straight to the other end of the spectrum and making my own starter culture was a bit too advanced for me right now. A good middle ground, I thought, was to try one of the bread mixes from the supermarket. 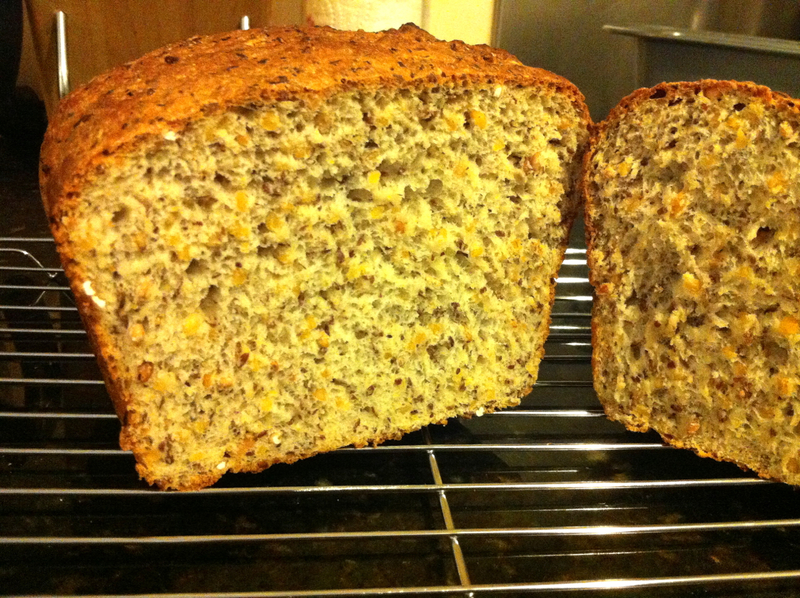 I bought a box of Laucke Multigrain Soy & Linseed bread mix, which makes 4 loaves. I don’t normally follow recipes well, since it tends to stress me out when I have to follow things to the letter and I much prefer to just use recipes as a “guide”. However I figure with baking that it’s a pretty precise exercise since it can mean the difference between a perfectly risen loaf and something that resembles a bread-shaped brick. 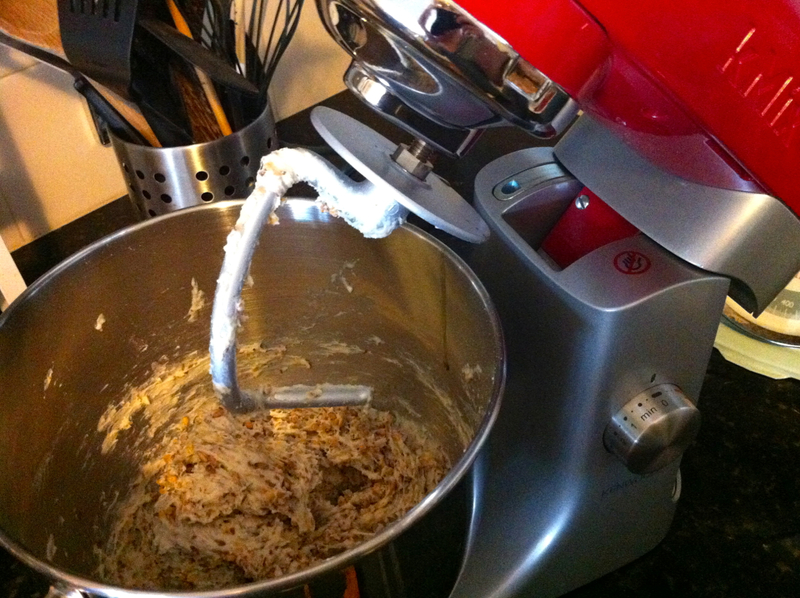 I put all the ingredients in the mixer as directed, watched as it was worked around a lot, and was fascinated when after leaving the dough to rest, it ballooned in size. 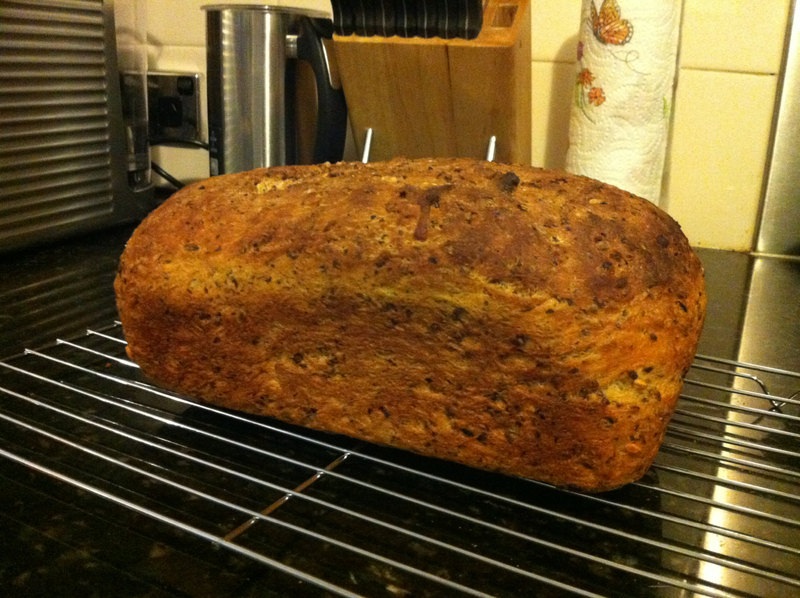 The result was a slightly lopsided loaf, but still deliciously crusty on the outside and dense yet soft on the inside. I cut big chunky slices while it was still warm and ate it with loads of butter. It was so tasty that the buttery slices were gone before I could even take a photo! 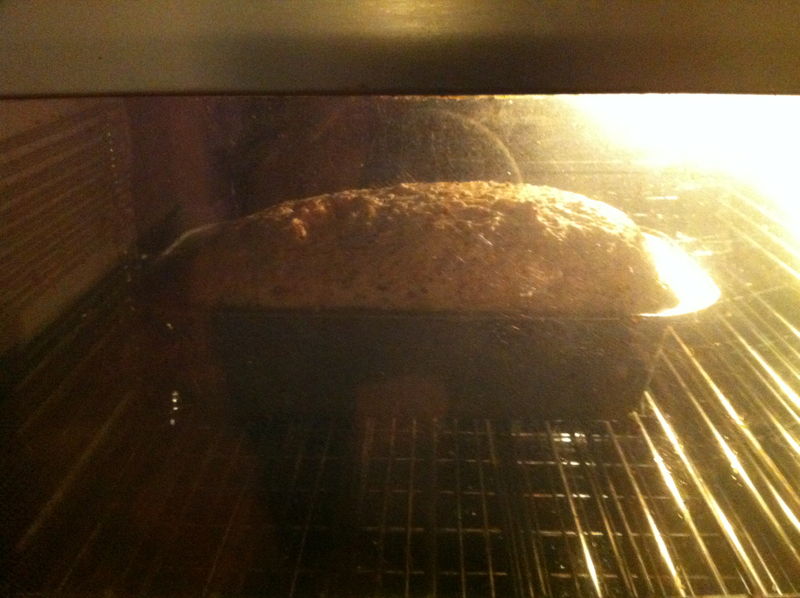 So I think I can safely say that this first time baking bread was a success!! I still have three more loaves in the box to bake, at which time I think it will be time to stretch the skills some more!